Mr. Bookey once served on the board of the Chicago Film Festival. Mr. Bookey is a Managing Director with Jordan Knauff & Company. He has extensive experience in creating, acquiring, selling, and raising capital for Middle-Market companies in the broadcast communications, commercial real estate, and multifamily residential real estate industries. 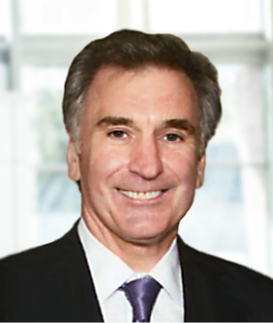 Prior to joining JKC, from 2006 to 2013, Mr. Bookey was the founder and Managing Principal of Compass Ventures, LLC where he served as an investment banker and principal raising capital for various projects, including single tenant commercial properties and multifamily residential properties throughout the United States. In 2002, Mr. Bookey formed Heartland Communications with Granite Equity Partners, a private equity group based in St. Cloud, Minnesota. Heartland Communications acquired secondary and tertiary market radio stations in north central and northwestern Wisconsin. Prior to that, in 1995, he partnered with Cross Creek Private Equity as an equity partner in the founding of Central States Broadcasting which purchased, consolidated, and sold approximately twenty radio properties located throughout the Midwest. Mr. Bookey began his career with H. Hentz & Company and subsequently joined Drexel, Burnham, Lambert & Company, where he ultimately became a Senior Vice President. While there he founded Lake Shore Communications and S.E. Wisconsin Broadcasting to acquire and operate radio stations in Racine and Appleton, Wisconsin. Mr. Bookey is a graduate of Simpson College (B.A.) in Indianola, Iowa. He is a member of the Economic Club of Chicago, the Chicago Council on Global Affairs, and the City Club of Chicago.